Discussion in 'Vendors' started by wolfmanluggage, Dec 4, 2013. We want this thread to encompass All Things Wolfman. We will share images, stories, Product Updates, and More. A little History: We have been in business for over 21 years, have been a member on ADVrider forum since 2005. We Ride, We Design, We use everything we make. We went to our Local KTM Dealer- Elite KTM in Loveland, CO.
Explorer Lite Tank Bag, Boulder Beta Rear Bag, and The Renegade Duffle. Rainier Tank Bag, Boulder Beta Rear Bag, and The Renegade Duffle. Peak Tail Bag- Mounted on Stock Rear Top Rack. Thanks! I plan on renting an 1190 this summer in Europe and need a strap tank bag and was assuming the Rainier would fit. Now I know! Big fan of your stuff. My Husky and KLX are set up w/ Expedition bags and have sold two buddies on them. 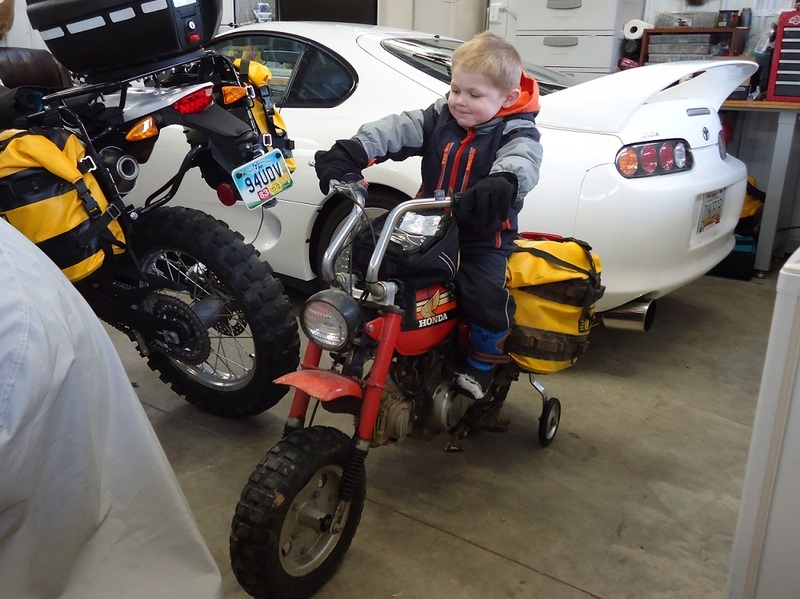 Here's a couple pics that may give you a chuckle...I'm starting him young. 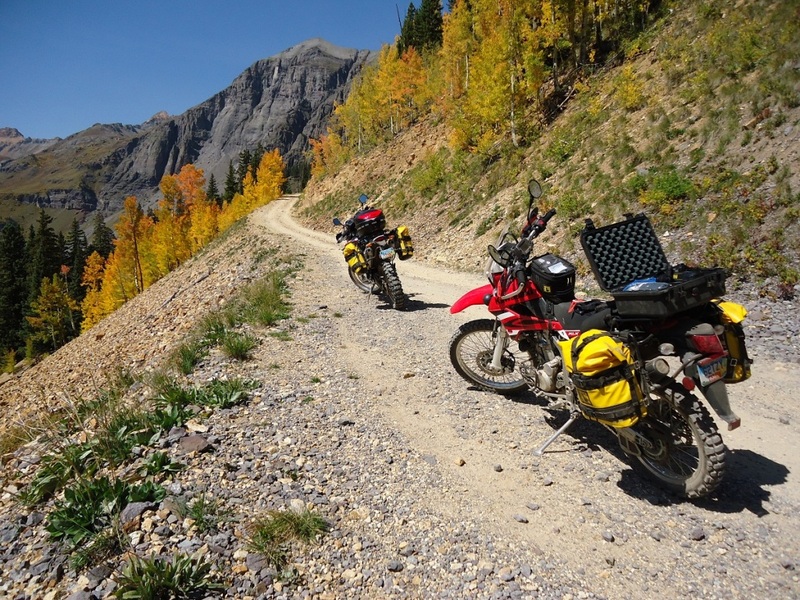 I'll also tell you a story from our trip to CO/UT in Sept. On the first day of our two week trip I was climbing to Engineer Pass from Lake City when a BMW GS came around a blind cliffside corner dead in my track. I swerved right what little I had left and our bars/legs/tanks couldn't have missed more than inches. I felt something jar my bike but didn't go down. Looking in my mirror I saw him spin out and go down to keep from going off the cliff. Realized once stopped that his alum pannier had ripped my left Expedition bag from my TCI Outback rack. Fortunately the bag was secured w/ velcro/plastic D rings which snapped. The heavy top straps were cut cleanly by the metal buckles on the bag. I had spare D rings/straps and was rolling again 20min later. It did tear the top strap away from the bag a bit but it's still waterproof. In hindsight should have asked him to buy me a new bag but at the time felt like I'd won the lottery that my trip hadn't just ended in disaster. If I had hard cases it would have been ugly. Did anyone figure out who this guy is yet? What rear racks would you recommend for your bags on a '10 ~ 990 adventure since you no longer produce them ? Gotta say that I bought their side racks and hard case adaptor kit for my seahorse cases and I cant be any happier. The racks are look great, VERY well made, super easy to install, great quality. Very satisfied as a customer. The Stock KTM racks (made by Hepco-Becker) work great with the new Saddlebag Strap. You can also do a search for the Wolfman racks. Several retailers still have them in stock. I just got one of the last sets from Revzilla for my DRZ. Installed them last night. Top quality and perfect fit. 1st I want to say thanks to Wolfman for providing me with special mounting straps so I could adapt their bags over the Hepco Becker Adaptors. Great service!!!! I'm thrilled to have a new 1190 Adventure R and plan on using this bike a little differently than my other bikes. 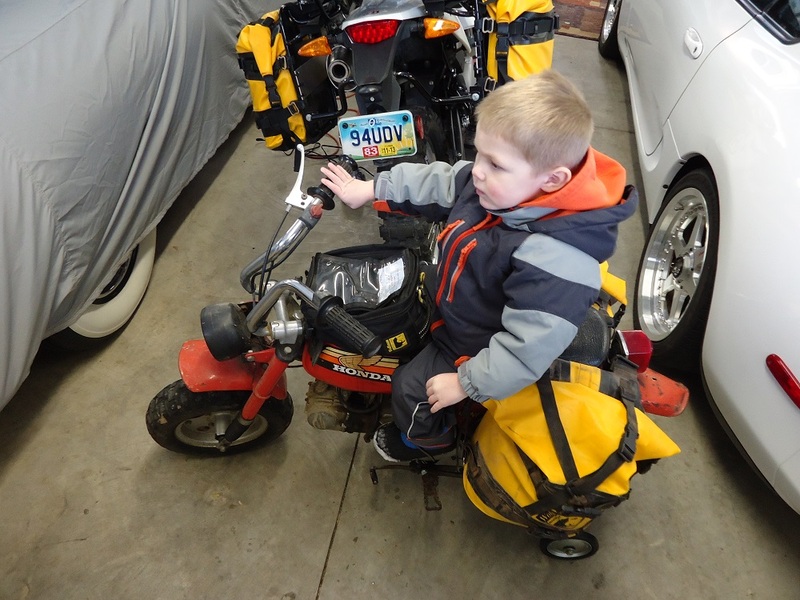 I am hoping to be able to use this bike as my sportbike, one up travel bike, and a gravel road adventure bike. Because I plan on using this bike in so many ways I wanted to make sure my luggage could adapt - quickly. I decided to go with the SW Motech quick release racks. I then added their Hepco Becker adapters. I went with the quick release racks so that I could strip them off quickly, shedding the weight and giving a better appearance to the bike. I then decided to go with the Wolfman Rocky Mountain bags for gravel road adventures and use Hepco Becker for long extended road trips. But - after mounting everything up I think I am deciding on ditching the Hepco Becker panniers and using the Wolfman Rocky Mountain bags for everything. The Hepco Becker Panniers weigh 17 pounds each!!! (that is empty!) Wow. And they don't hold near what these Wolfman Rocky Mountain bags are going to!!!! Here is the best part - the Wolfman Rocky Mountain bags on the SW Motech Racks. I can mount / unmount the bags from the racks in a couple minutes - easy! 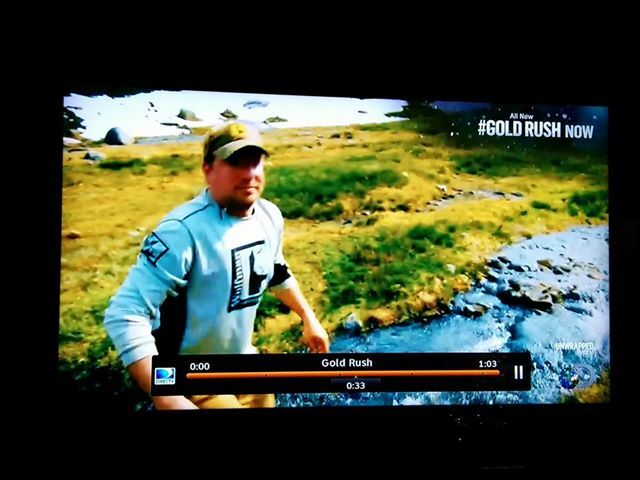 I think Patton saw the logo and is looking for the Wolf!!! Here is the Hepco Becker bag mounted. I'm about to change the name of my DRZ 400 to Wolfman. Actually, my bike doesn't have a name so maybe this is it. I just installed Wolfman side racks (so glad I got some of the last since they are not made anymore, very good quality), Wolfman Rotopax fuel kits on each side, Wolfman Dry Expedition bags, 4 Wolfman Fuel Holsters with Pimus fuel bottles, Wolfman small Expedition tank bag, 2 Wolfman medium Rollies for tank panniers with the mount harnesses. I need to install the IMS 4 gal tank before I assemble the tank panniers. All top quality and look like they will do the job for years to come. 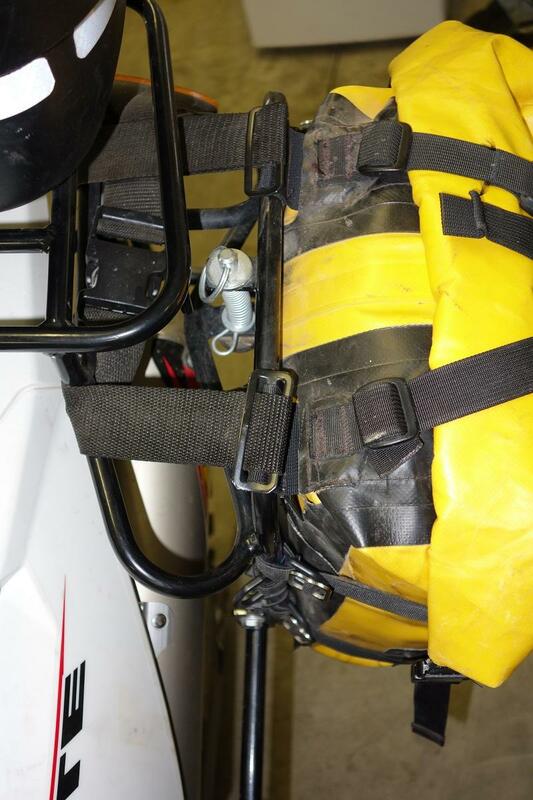 They are well thought out with the adapting systems, harnesses and straps. Great job guys. It was between you and GL. After much due diligence, I think you guys have the more flexable and adaptive system. I highly recommend these products. I will post some pics when it's completely fitted. Probably a month from now. 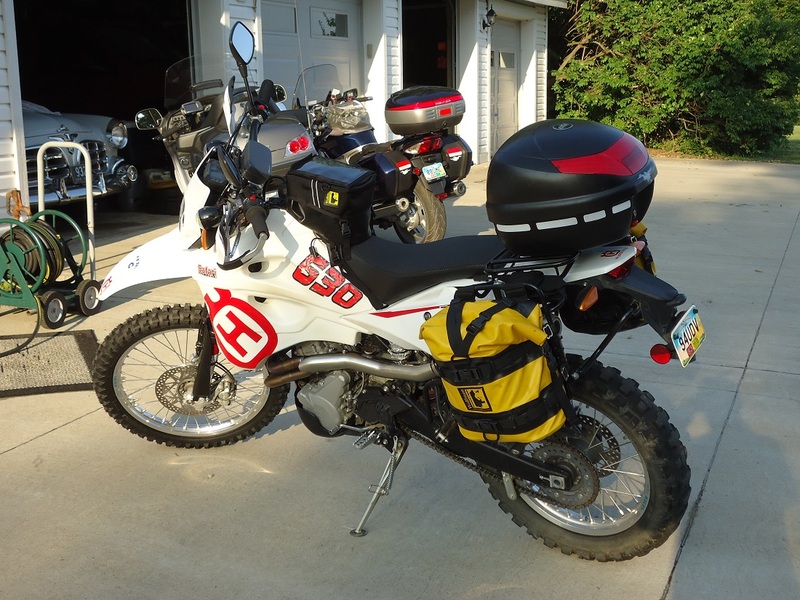 Wolfman, have any pictures of your tank bags on a BMW GSA? Hard to know how they will look on the bike just seeing the bag sitting there. Do any of your tank bag have Velcro to remove the bag, so you don't have to unclip it to fuel up? I'll look for images. We use side squeeze buckles as they last longer than Velcro for mounting. Does Wolfman offer a ADVrider discount,,,,,,,or did i miss that??????? ?